I am 84.9% more wealthy than most people in the world. I sleep at night without worrying that the roof will cave in on me. I enjoy cold water from my refrigerator with no threat of parasites ravaging my intestines. 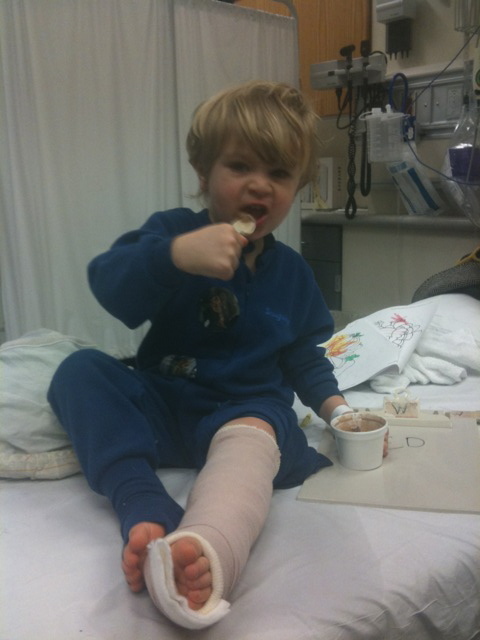 When my son broke his leg, it was a quick trip to the ER- 4.5 hours is quick you say? Compared to most families that have to wait 2 weeks to see a doctor, watching Charlie Brown and eating ice cream while waiting for a doctor is a vacation compared to the healthcare that most people receive. Check out Who Are The Joneses? to find out just where you sit in terms of global wealth. Never mind if your name is actually Jones. Regarding these issues, It’s not enough just to be aware. We need to actually do something to help right the wrongs in this world. I’m actually feeling pissed off enough about this issue that it makes me want to eat beans and rice all month to free up some cash to give to great organizations like The International Justice Mission. However, there are better things to do than angrily eating beans and rice- things like giving and enjoy ing purposeful gifts. My sister-in-law is a research physician working to eradicate pediatric AIDS in Kenya. She often brings home beautiful jewelry or bags made by women who are supporting their families who have been affected by AIDS. 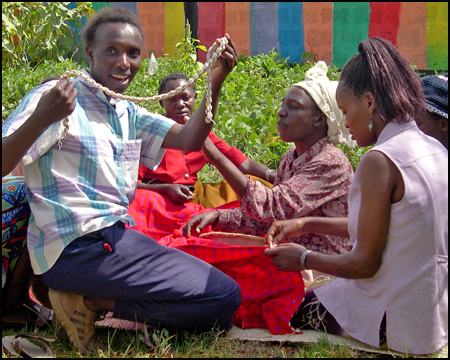 100% of the income earned through sales is reinvested in the Workshop through which artisans benefit from employment, skills training and other forms of empowerment. If jewelry isn’t your thing go to Just Love Coffee to order coffee that is not only fair trade and helps farmers earn a just wage, but also supports orphans with a portion of the proceeds. If you want to get really specific in helping, Just Love Coffee also enables families who are trying to adopt to have friends and family order coffee through their website & fundraise for their own adoptions. You can help my friends, The Joneses (no, not the joneses from above 🙂 by ordering coffee on their behalf for their adoption of a special needs daughter at Oliva Jones. If you want to give a gift domestically, check out World Vision’s Gift Catalogue and consider giving $25 to help get $150 of school supplies to kids who are in under-resourced classrooms. Hope these resources help! One of the fun things about working with college students with InterVarsity Christian Fellowship is that I get to plant these ideas of radical generosity in their brains while they’re still eating ramen noodles. It’s not only been awesome to see these students “get it” while they’re in college but begin to use their resources to care for the poor in the years after they graduate. May there be many more in the world like the 18-22 compassionate students I serve! Awesome post! Love all the resources you listed.